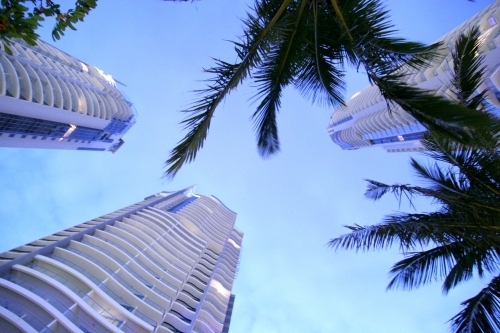 The Towers of Chevron Renaissance fuses ultra-modern inner city living with three majestic towers. 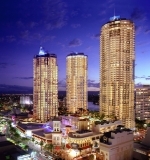 Rising to a height of 50 stories, the towers dominate the Surfers Paradise skyline incorporating full resort facilities in one of the most sought after locations on the Gold Coast. 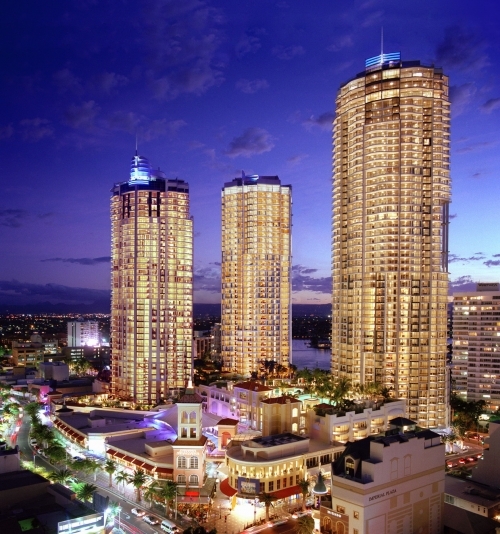 At your door step you can enjoy the cosmopolitan delights of the Chevron Renaissance shopping and dining precinct including the leisure and entertainment hub of Cavill Avenue. 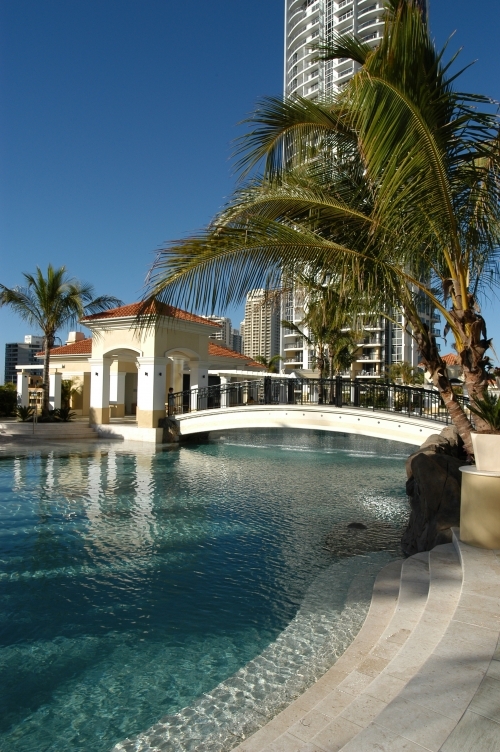 This world class development features 1, 2, 3, bedroom fully self contained apartments. 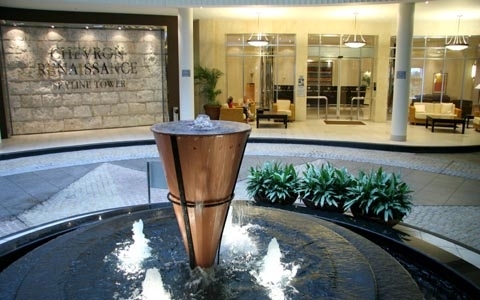 All feature air conditioning, contemporary furnishings, with gourmet kitchens, full laundry, complimentary cable TV, direct dial ISD/STD and large outdoor entertaining balconies. All towers have the easy access to Chevron Renaissance Shopping Centre. Set amidst tropical manicured gardens is the unique "Beaches in the Sky". Located centrally between all the towers, it offers an outdoor swimming lagoon and spa with private beach, gym, and heated indoor pool. Guests can also utilize the childrens playground and large lawn area. 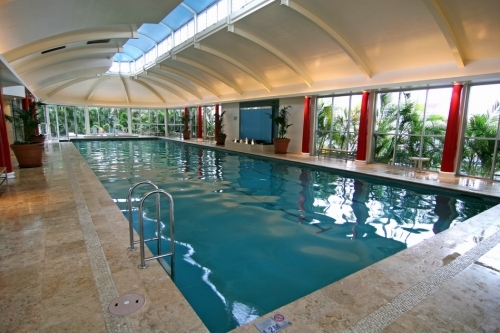 In addition we offer an outdoor lap pool with exceptional BBQ facilities, private theatre and games room. For the extra security of our guests, the resort provides free secure parking, onsite management and 24hr monitored security.